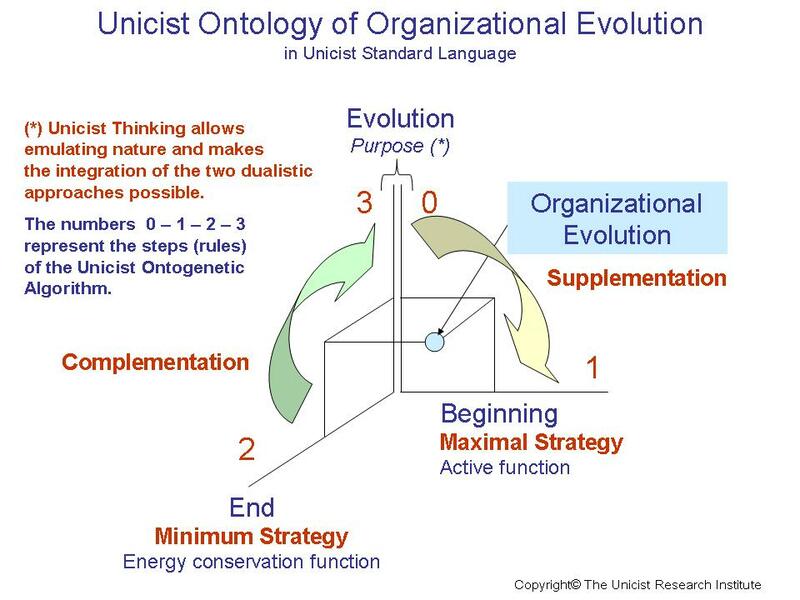 The “Unicist Ontology of Organizational Equilibrium” describes the nature of organizational evolution. It is integrated by nine principles. We are presenting here one of the principles which is the one that rules the necessary action to develop maximal strategies to make business grow. a) Every change of values implies the elimination of values, meaning that there is an end and a beginning. b) Every organizational change implies a change of the values of the organization. 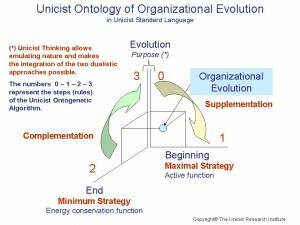 c) Organizations change from the outside to the inside and from top to bottom. d) The results of changes need to be measured in the short and the long term. e) The elapse of time makes the organizational structure of benefits obsolete. Values are the materialization of ethics at an operational level. Organizations that seek for permanence need to die and rebirth with each change in order to adapt. No beginning nor change can exist if the ends are not accepted. The apparent paradox is that the “end” is the energy conservation element. Beginning something new without finishing the preexisting organization is a utopia.